GLUE STICKS NIPPON; 1 POUND (48 STICKS/PKG.) 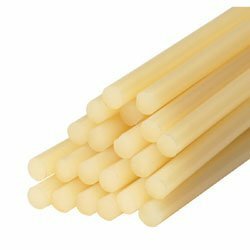 STICK = 4" X 3/8" GLUE STICKS NIPPON; 1 POUND (48 STICKS/PKG.) 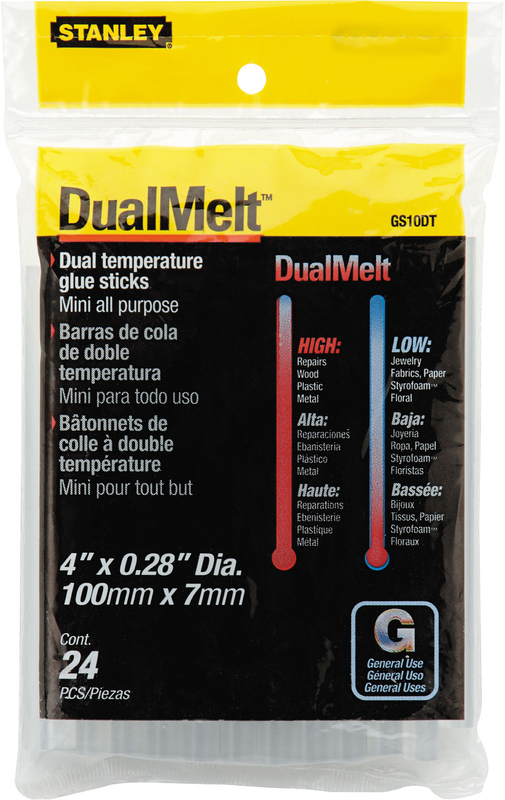 STICK = 4" X 3/8"
DUAL MELT MINI GLUE STICKS Works well with mini hot-melt, low temperature,- and dual-temperature glue guns Only takes 15-30 seconds to bond For general application and heat-sensitive - materials Used in Stanley GR10 mini glue gun 24 ea. 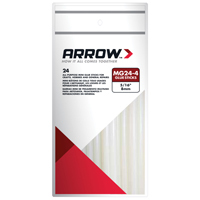 1/4" x 4" glue stick per package GS10DT 4 IN. 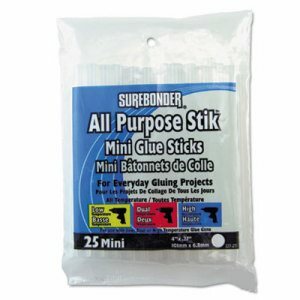 MINI GLUE STICK SIZE:1/4" x 4"
All temperature glue sticks can be used in high temp. low temp and dual temperature glue guns. 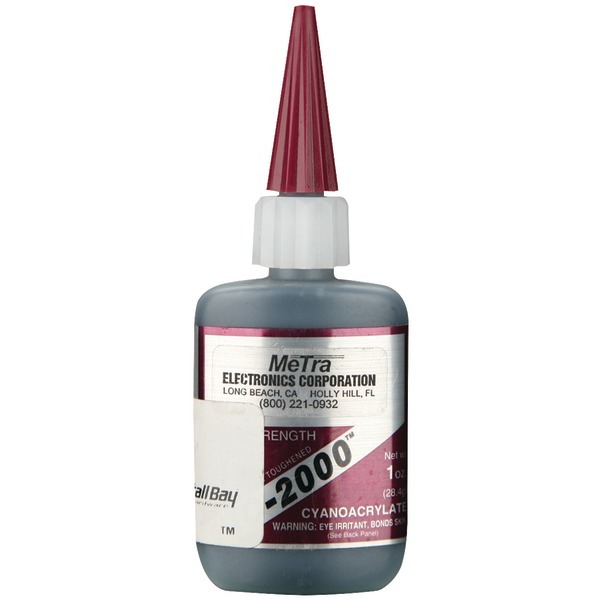 Use on paper, metal, glass, leather, fabric and wood. Dries clear. Adhesive Type: Glue Gun Stick; Color Dried: White; Color on Application: White; Suggested Use: Paper; Ribbon; Fabric; Wood.